Yale University Press, 9780300229639, 232pp. This landmark book from an expert in dignity studies explores the essential but underrecognized role of dignity as part of good leadership. 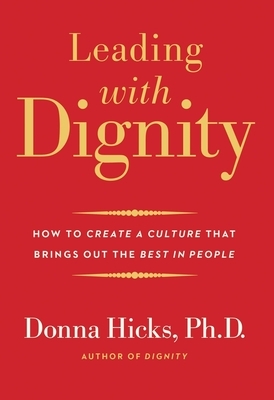 Extending the reach of her award‑winning book Dignity: Its Essential Role in Resolving Conflict, Donna Hicks now contributes a specific, practical guide to achieving a culture of dignity. Most people know very little about dignity, the author has found, and when leaders fail to respect the dignity of others, conflict and distrust ensue. Hicks highlights three components of leading with dignity: what one must know in order to honor dignity and avoid violating it; what one must do to lead with dignity; and how one can create a culture of dignity in any organization, whether corporate, religious, governmental, healthcare, or beyond. Brimming with key research findings, real‑life case studies, and workable recommendations, this book fills an important gap in our understanding of how best to be together in a conflict‑ridden world. Donna Hicks, Ph.D. is an associate at the Weatherhead Center for International Affairs, Harvard University. As a conflict resolution specialist, she has facilitated diplomatic efforts in the Middle East and other high‑conflict regions and conducted numerous training seminars worldwide.